not completely abnormal and the thirteenth tooth. i was supposed to see two facebook friends today but my teeth got in the way. specifically the thirteenth tooth. it cracked open in the middle of the night and, eight advil later, i was sitting on the sidewalk outside my dentist’s office waiting for somebody, anybody to show up for work. some reflexologists and traditional medicine professionals believe that the large intestines and the lung meridians of the body affect teeth 4, 5, 12 and 13 of the upper jaw. so a disturbance in the thirteenth tooth could be a warning of lung, intestinal, pituitary, and thymus gland problems! i just thought the side of my face was exploding with pain! my dentist said “aren’t you glad this didn’t happen when you were out meeting facebook friends in another country?” and i think i agree although one thing i found through this journey of meeting all my facebook friends is they have been nearly uniform in their hospitality. i’m sure if i had been in taiwan, facebook friend warner sills would have found me an endodontist. that’s a fancy pants name for “person who can get rid of that pain that starts in one tooth and makes you want to rip the side of your face off and wear a mask like that dude in phantom of the opera”. my dentist sent me posthaste to dr. trina, endodontrial genius and then he called their office to make sure i showed up. he’s not dumb, my dentist. she told me the surgery would take two hours. she wasn’t inclined towards vicodin, codeine, laughing gas, or even a small martini. she’s into natural childbirth, natural appendectomy, and natural root canal. i was on my own. well, not on my own: trina had both hands and several surgical instruments in my mouth and an assistant kim who occasionally took a jab at me. i worried that one or another swab, finger, needle, scapel or drillbit would go down my throat. i have a number of facebook friends with post traumatic stress disorder, anxiety, agoraphobia, ms, fibromyalgia: some of them have complained about the state of their own teeth. after all, most dentists don’t do house calls. and most of these friends are pretty terrified of dentists. 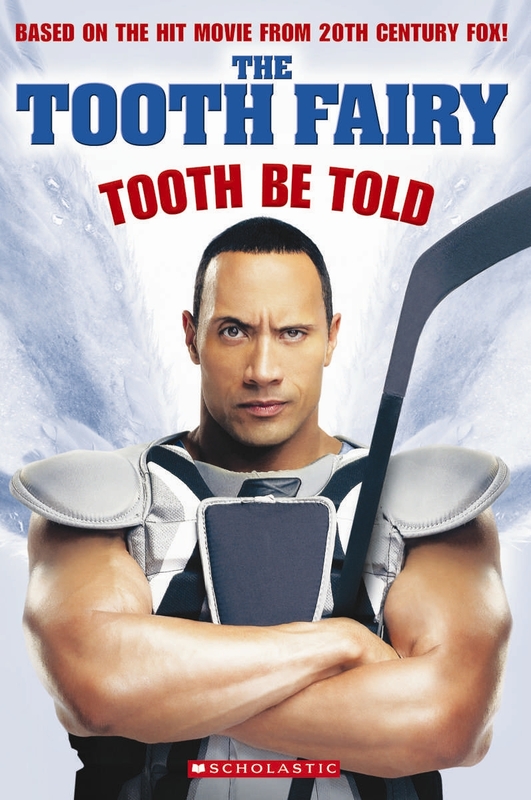 dwayne johnson, aka the rock, starred in the 2010 blockbuster “the tooth fairy” along with the dazzling cast including ashley judd, julie andrews, and stephen merchant. it was a poignant commentary on our belief that after the pain of teeth extraction we should get a reward. what i got was a bill for one thousand smackers and an ibuprofen because dr. trina said in a few hours i was definitely going to feel it. i felt trapped in the chair, trapped by the topical anesthetic, trapped by the pain that the root canal was supposed to cure. and two hours in a dental chair? trapped, trapped, trapped. then i remembered the point of the williamsburg bridge experience in which i tried to get to facebook friend #317 michele piersiak who lives in staten island. i was in brooklyn and mr. mapquest said “walk over that bridge.” i hadn’t known i was scared of expansion bridges strung up over three lane highways and hundreds of feet above the water. but once i was in, i had to figure out how to get myself across. saying thank you helped. i said thank you to just about everybody and everything on the williamsburg bridge. i was a blubbering thank you, sobbing, red-faced thank you note. and i did the same at dr. trina’s office. i started thinking about how she had spent four years in college, three years at dental school, and another two years in specialized training for endodontics . . . all so she could stick her hand and her drills into my teeth. all so she could say that my double rooted tooth number thirteen was “not completely abnormal”. . . . obviously i couldn’t say “thank you thank you” out loud but suddenly, i really DID feel grateful for all that work she put in at school so that she could get rid of the pain. of course, i’m writing this while my mouth is still just a little bit numb. supposedly, in an hour or so i’m going to begin a long, dark night of the soul. but i’ll take not completely abnormal. not a bad title for the rest of me.